Is Chiefs' WR Jon Baldwin worthy of a roster spot? Week 8 of the NFL season wasn’t injury-riddled like prior weeks, which means that the waiver wire will likely be less active than usual. Also, the week marked the middle point of the regular season, which means one thing: Midseason Awards. Newton gets it ahead of Rodgers simply because Rodgers is a 1st/2nd round pick. It’s Most Value-able Player. This guy was going in between rounds 12-15 before the season began. Next year he’ll be going in rounds 3-5. The Lloyd Award is a player who can be found on the waiver wire and ends up tearing it up the rest of the season. No doubt Newton gets it. Not sure what’s going on with this guy, but it’s not funny for owners. Bradford is out of the walking boot and ready to sling it to newcomer Brandon Lloyd. He has a favorable matchup this week against Arizona. You gotta like Cassel in the second half of the season. Not only have the Chiefs drastically improved their game altogether, but Cassel gets to face Miami, Denver, and New England in the next three weeks. Like I said last week, Ringer should be seeing more and more time ahead of fantasy bust Chris Johnson. He got 33 snaps to Johnson’s 30 against Indianapolis, and it’s only a matter of time before Johnson’s warming up the bench. 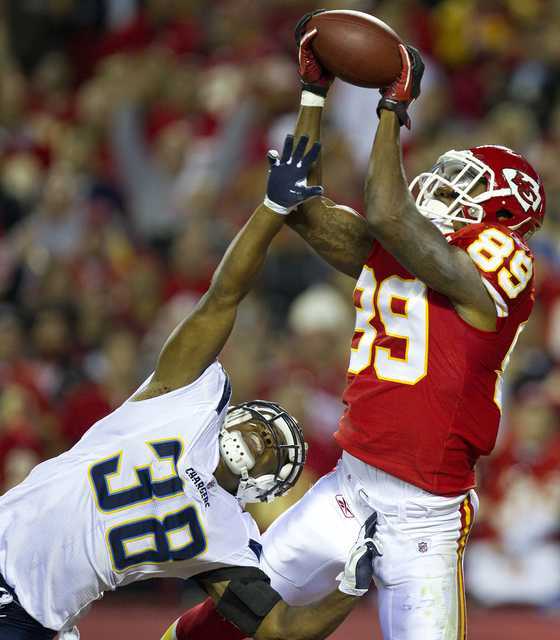 Big Jon Baldwin made some big plays for the Chiefs in their win over the Chargers Monday night. Baldwin’s got the size and skill, but the Chiefs’ offense raises a concern and I don’t think he’ll be consistent for the rest of the year. Pick him up if you really need a WR. Doucet has made good on his limited play, scoring once in each of the last two games. If the Cards ever decide to give him more snaps, he’ll be pretty productive. Twenty five points in the past two games for Celek should result in a waiver wire pickup for most teams. Also, he gets the Bears, who give lots of leeway to opposing tight ends, on Monday night.